FROM THE RANCH TO YOUR TABLE. Strawman Farm's excellence in the natural health space is evidenced by its commitment to the highest quality natural food products money can afford with an emphasis on the cleanest sourcing of the healthiest ingredients possible. 1.At the Strawman operation we take great care in raising our bison herd in a low stress lifestyle, keeping in mind the quality of life for our animals, the impact our ranch and process has on the environment and the impact our actions have on the quality of our finished bison meat product. The following is our promise to you. 2. We NEVER use antibiotics, growth hormones, steroids or vaccines on our bison. It is so important to us that we keep our finished bison product 100% All natural. 3. Our bison have lots of room to roam, graze and grow. The space we give our bison herds allow them to remain wild and live on their instincts according to their own social hierarchies. Throughout the course of their lives, our bison are minimally handled, respected and humanely treated. 4. Strawman Farm (The family) care about their land, their animals and sustainability. They oversee all operations on their ranches and are hands on with the management of their herd. The meat we sell across the province is the same meat we put on their own table and share with our family and Friends. 5. With the new edition to our Beautiful 2000 square foot commercial kitchen we do everything we can to ensure that the meat we produce is with us throughout the entire cycle from ranch to plate. Our growing operation is more and more allowing us to raise our bison from birth and oversee the process all the way through production. With any superior food product, the other key element is unmatchable taste.Strawman Farm Bone Broth has spent countless hours refining recipes to arrive to our flagship products we are known for today. Strawman Farm is a known to be the absolute best bone broth available. Many clients that used to cook it for themselves have stopped doing so and have Strawman Farm do it for them now. To be the leader in this space also means quick delivery times. Strawman Farm is committed to ensure products ordered reach Strawman Farm customers in the most expedited timeframe possible. Once products arrive to client’s houses, Strawman Farm does not stop there. Strawman Farm understands 110% client satisfaction is the key to being the undisputed leader. Strawman Farm strives to create a personal relationship with every one of its valued clients and is concerned about the health and welfare of every single client. Most clients come to Strawman Farm with a need to transform their health for the better and Strawman Farm not only understands this but makes this our core focus. We listen to every client’s needs and customize an individual plan that will assist it’s clients to derive the greatest benefit from our products and wealth of information. From the early pioneering recipe refinements of our founders the Holm Family, to our visionary product developments that include coming new expanded flavors and convenient dehydrated versions, join us on a journey of discovery, as we forge boldly into the future of premium food luxury. Strawman Farm was founded on the idea to bring top quality, ethically raised bison meat directly to the people: ranch to table. Bob and Lori Holm along with Sons Stephan, Dylan, and Liam, are dedicated to a lifestyle of watching over and caring for their herds in a humane and ethical way – with no growth hormones or steroids, antibiotics, vaccines or Grains they allow the herds to roam free, minimally handled for most of their lives. Modern-day vision, exceptional quality, signature levels of innovation and world-class customer service makes Strawman Farm not just a food product, but a work of passion to health and helping others improve their lives. Strawman Farm also now functions as a Local educational resource about bone broth farming and natural remedies . Inspired by the tremendous health benefits of bone broth an other natural remedys if you have any questions about bone broth we are always willing to help you on your recovery to optimal health. Give us a call or shoot us an email; we are ecstatic and grateful to help. Strawman Farm started by selling bone broth face to face to customers in local Edmonton Farmers Markets and quickly became an item in very high demand. 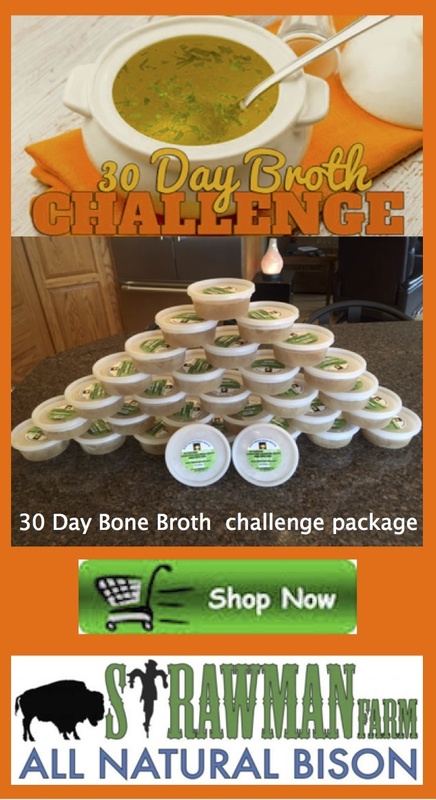 Soon word spread and customers nationwide were asking how to have our high-quality bone broth delivered. 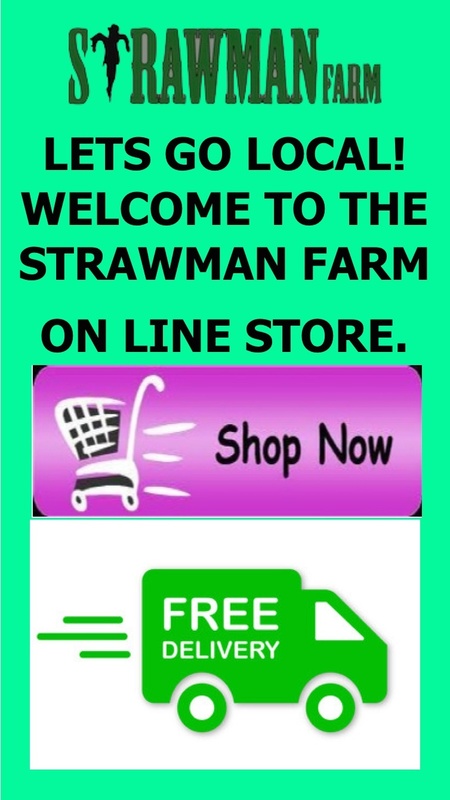 To meet growing nationwide demand, Strawman Farm created this website to fulfill orders nationwide as well as local. Strawman Farm Bone Broth specializes in creating healthy, delicious and organic bone broth made with a combination of our grass fed bison and pasture raised, free-range chicken and turkey bones, and grass-fed organic beef bones. The broth can also used as a gourmet drink by itself and can also be used to cook rice, risottos and create soups from. For those unable to make their own, Strawman Farm also offers bone broth delivery service. Our mission is to make healthy organic bone broth available to anyone who wants it. Most people do not have the time to make their own nor want to mess around with making it. We believe bone broth is earning status as a superfood and those who are health-conscious should research the health benefits of bone broth and strongly consider adding bone broth to their diet. WHY SHOULD YOU EAT BISON MEAT? BISON MEAT IS HEALTHY - Bison meat, often referred to as buffalo meat, is high in protein, iron and other nutrients, while lower in calories, fat and cholesterol than other meats. The nutrition comparisons, speak for itself. Bison is a naturally, lean meat - bison have low amounts of body fat and consist primarily of muscle, resulting in leaner cuts of meat. Additionally, at Strawman Farm all our bison are raised naturally - without the use of antibiotics, growth hormones, steroids or vaccines. BISON MEAT TASTES GOOD - Bison produces a healthy and delicious meat that can be used in all the same ways as beef. But it's the taste of bison that will really win you over. With a rich, slightly sweet flavor, the taste of bison is becoming more and more popular across the Canada. RAISED RESPONSIBLY - Because of the nature of bison, they are minimally handled. We allow our bison to roam free on the ranch for most of their life. We treat each of our animals with the utmost respect throughout their lifetime.